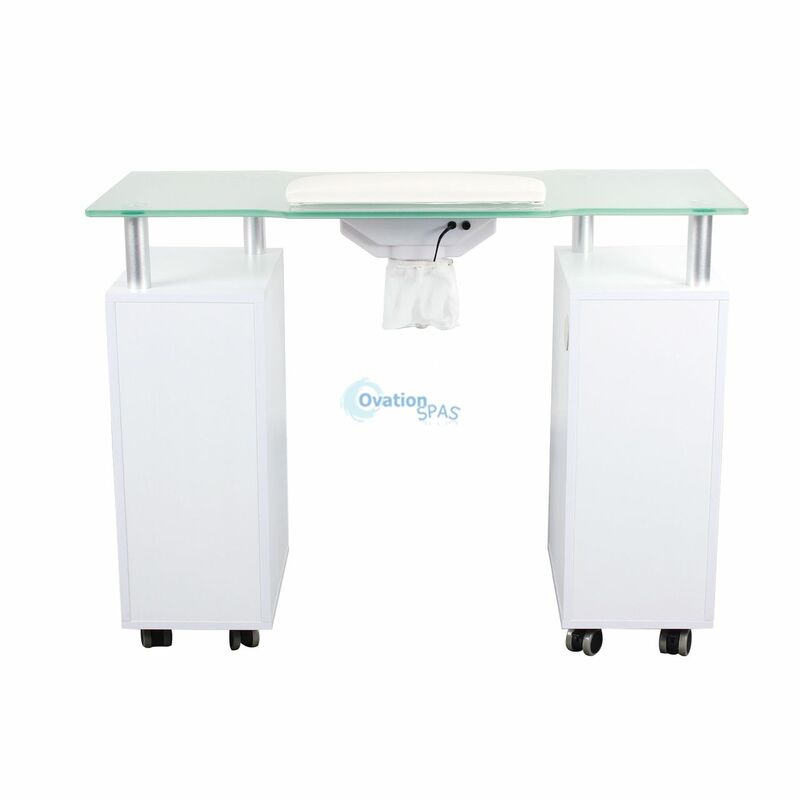 Glass Top Manicure Table with Draft Fan is Simple, clean and contemporary design glass top manicure table/nail station perfect for day spa decor. Comes with glass top draft fan and multiple drawers for storage. 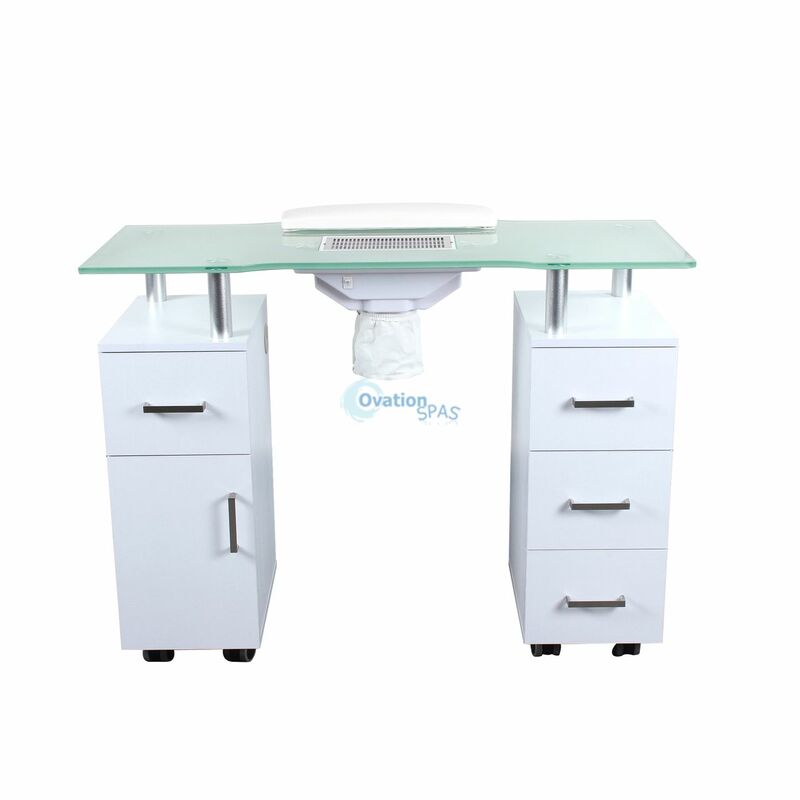 Luxurious frosted glass top and includes hand rest pad. - 2% V Manicure Double Table 69 1/4"